The ​Cleveland Indians have made several changes to their big league roster this winter, but one thing it appears they aren't doing is using their rotation strength to augment other areas of the squad. 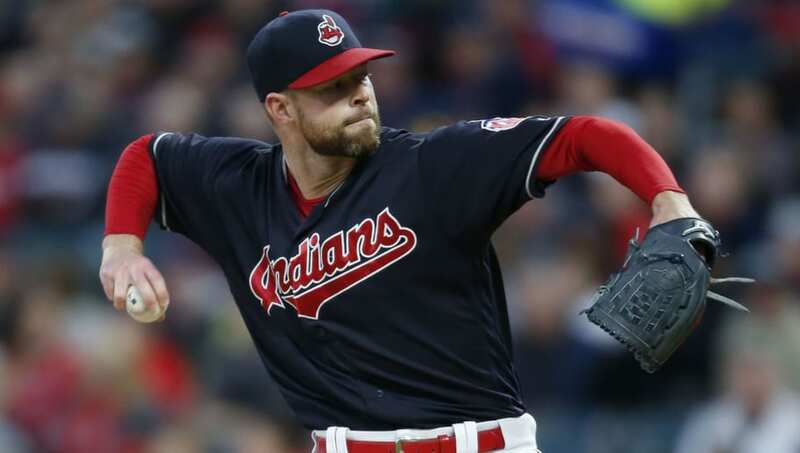 Indeed, the buzz surrounding a potential ​Corey Kluber deal is all but gone. It's not like having Kluber around is going to hurt the team. He's one of the best pitchers in the game. But it's worth noting that the Tribe also dangled right-hander Trevor Bauer on the trade market and were unsuccessful. Both are under club control for several more years, but it made a lot of sense for them to move one of them while their values were highest with an eye toward enhancing the roster top to bottom. They did, however, trade first baseman and designated hitter ​Edwin Encarnacion. His loss leaves a huge hole in the middle of their lineup, and there's nothing Carlos Santana is going to do to change it. Speaking of offense, the Indians lineup took a huge hit now that the face of their franchise, shortstop Francisco Lindor, is due to miss 7-9 weeks after suffering a ​calf strain. He might not miss much time in the regular season, but they had better hope he's 100 percent before he tries to come back. This is the kind of injury that can linger and be a problem for most of the season. Cleveland can't afford Lindor playing at anything less than an MVP level. As it stands, the Tribe have given themselves a margin for error that's far too narrow for comfort. The PECOTA projections just came out, and they have the Indians winning 97 games and taking AL Central once again. With the division being as weak as it is, it's not crazy to think that they'll be division champs, but 97 wins? Even in a weak division, that's a pretty high win total. Don't be shocked if the Minnesota Twins and even the Chicago White Sox -- who have a real chance to land Manny Machado -- play better than expected. The Indians made a lot of changes and they are already dealing with an injury to their best player. This could be a sign of things to come for Cleveland in 2019, and it might end with them sitting at home watching the postseason.